A 34 year old woman presented with heavy menstrual bleeding. She had previously had a D&C for miscarriage. A Pelvic Ultrasound revealed a 3cm submucosal fibroid. 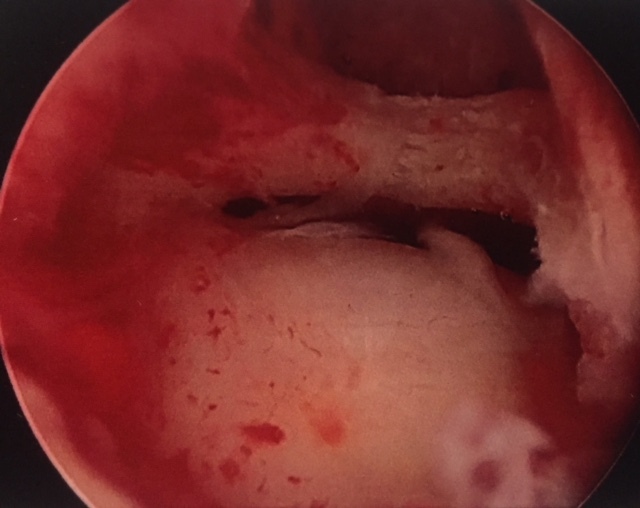 At hysteroscopy she was noted to have a thick band in the uterine cavity (partial Ashermann's Syndrome). This presumably occurred following the D&C. The fibroid was resected and the thick band divided. Her fertility was restored to normal.